James - So, we know from studies over the last 20 or 30 years that hardening of the arteries happens unfortunately as you get older. We also know that cholesterol is important. Increasingly, we think that little bits of calcium also build up in the wall of the arteries. Existing techniques to try and predict people who are going to have heart attacks and strokes often involve putting needles in arteries and in arms, and feeding wires around inside the heart. So we developed a technique working with colleagues in Edinburgh University to, as you say, target the areas of calcium within the arteries, actually just lying on a standard PET CT scanner without having to have nasty needles put inside the body. Kat - So, this is the kind of scanner we use this for detecting things like cancer, for looking inside the body. So, how does your scan work to look for the science of heart disease for these plaques? James - So, what it involves is a very small injection of radioactive sodium fluoride - as you say, a major ingredient in toothpaste. Kat - But this isn't toothpaste. You're not injecting toothpaste to people. James - It's not toothpaste. It's about 10 mils of a colourless liquid. The chemical itself is very safe. As you say, it's found in toothpaste. There's a small dose of radiation which is attached to it so we can spot it on the scanner. It's about the same as a CAT scan of the head. It's injected into the patient and it actually binds very tightly to areas of the arteries where this calcium process is continuing. We think that those patients with the most uptake of the sodium fluoride on the scan are at great risk of heart attacks and strokes in the future. Kat - So, what's special about sodium fluoride that makes it go to these calcium rich plaques? James - The chemistry actually is very similar to that in toothpaste. 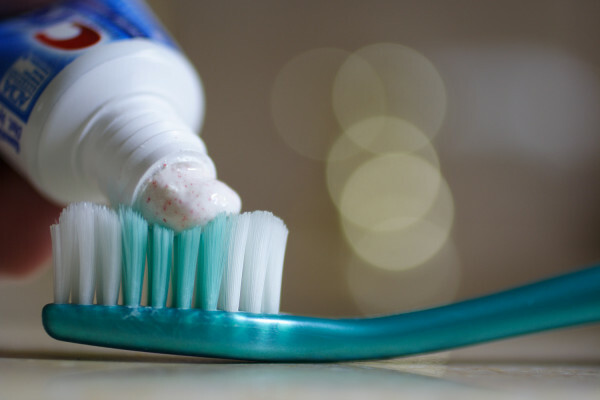 The reason we use fluoride in toothpaste is that it binds very tightly to calcium and stops decay happening. We think the same thing is happening in the coronary arteries and the arteries in the neck. So, the sodium fluoride is binding very, very tightly and it's being washed off the rest of the arteries where there isn't any problem. So, we're left just with those areas that we think are at high risk of rupturing and causing heart attacks and strokes. Kat - If you can spot these, how do you know that these are definitely going to be people that are at risk and also then, what could you do about it because it's all very well to put someone on the scanner and go, "Oh dear! Sorry, don't book a holiday..."
James - As always, there's more work to be done. We have validated with pathology specimens and we've found that there's a relationship between them. We're also hoping that we can use some new drugs that are being developed over the next couple of years called PCSK9 inhibitors which are very, very expensive drugs. We think that a scan like this might help doctors to select patients who really will respond to the treatment and also, avoid giving the treatment to people who are not likely to benefit. Kat - At the moment, do you know if someone who would be picked up with these kind of scans and say, "Those do look dodgy" are they definitely going to have a heart attack or what needs to be done further to prove the kind of link between picking someone up on this scan and their future risk? James - Our initial studies have been in about 100 patients. We need to, and in fact we're actually undertaking British Heart Foundation and Wellcome Trust funded studies in patients in the thousands and following them for multiple years, just to see whether those with the highest concentration of fluoride in the arteries at baseline go on to have heart attacks or strokes or not.